The Federal Circuit issued an interesting decision in Automated Merchandising Systems, Inc. v. Lee, (No. 2014-1728), regarding the USPTO’s decision not to stop an inter partes reexamination proceeding after the parties settled a parallel patent infringement action in federal court. The Court concluded that the USPTO’s decision to continue was not a final action by the agency, so the Court did not have the authority to overrule the USPTO. The case involved a dispute between Automated Merchandising Systems, Inc. (AMS) and Crane Co. AMS sued Crane for allegedly infringing four of AMS’s patents. 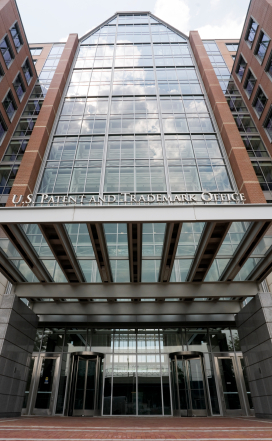 During the court proceedings in the Northern District of West Virginia, Crane instituted an inter partes reexamination of the patent at the USPTO, which the USPTO granted. As often occurs, AMS and Crane settled the dispute and requested that the district court enter and order dismissing the case. In that order, which the court entered, the parties stipulated that the four patents were valid, the case was being dismissed with prejudice, and the judgment was final. After the court entered the order, AMS asked the USPTO to stop the reexamination proceedings under 35 U.S.C. § 317(b), arguing that there was a final judicial decision that the patents were valid. The USPTO disagreed, finding that there had been no actual decision on the merits and that it had an obligation to continue reviewing the patents once it had determined that there was a substantial question of patentability. AMS filed suit against USPTO in district court in the Eastern District of Virginia, seeking to have the court overturn the USPTO’s decision under the Administrative Procedure Act (APA), the Declaratory Judgment Act, and the court’s inherent mandamus power. The court entered summary judgment against AMS because it also found that there had been no final decision on the merits. AMS then appealed to the Federal Circuit. [a]gency action made reviewable by statute and final agency action for which there is no other adequate remedy in a court are subject to judicial review. A preliminary, procedural, or intermediate agency action or ruling not directly reviewable is subject to review on the review of the final agency action. So, the Federal Circuit first considered whether it the USPTO’s decision was a final agency action, sufficient to invoke the APA. The Federal Circuit concluded that it was not. Final agency actions are those that mark the end of the agency’s decision-making process and are such that rights, obligations, or legal consequences flow from the decision. Here, neither of those elements were found to exist. The USPTO’s decision did not mark the end of its involvement. To the contrary, the USPTO determined that the reexamination should continue. In addition, the USPTO had not made any final determinations on the merits of the reexamination, so no legal consequences flowed from its decision, other than to continue the reexamination. The Court found that the continuation of legal process was not the type of consequence required under the APA, especially because additional appellate remedies existed if the USPTO reached a decision unfavorable to AMS. Having determined that the APA did not give grounds for the Court to reverse the USPTO’s decision, the Court also concluded, for basically the same reasons, that the Declaratory Judgment Act and the court’s inherent mandamus powers did not provide relief for AMS. The Federal Circuit, therefore, affirmed the district court’s grant of summary judgment against AMS. This decision highlights a concern that patent owners need to be aware of that once a reexamination has been filed, it can be very difficult for a patent owner to unilaterally end the process. Unlike the court system, the USPTO has a separate obligation to verify the appropriateness of patents it issues when there has been a legitimate challenge to the validity of the patent. Just because the parties wanted to end the dispute does not mean that the USPTO has the same interest. Litigants will need to keep this in mind when determining whether and how to settle a patent infringement lawsuit that also has an ongoing inter partes reexamination. This entry was posted in Patents and tagged APA, Federal Circuit, inter partes reexamination, settlement. Bookmark the permalink.